Couples or individuals living alone can enjoy cake without having to make a full sized one. This page contains single serving cake recipes. I got this idea from the single serving desserts that are on the market. I buy a cookie or cake mix and put a few tablespoons of the batter in a single serving Pyrex dish, any small microwave safe cup or bowl will do. Then I add whatever sounds good to me to create a single serving dessert. Recently I combined oatmeal cookie mix with soy milk and chopped pecans to make a cake batter. I microwaved it for 60 seconds. Most of it turned into a little cake with a bit of syrupy liquid remaining. I put whipped cream on top and it was heavenly. I said to my daughter, "We could have added chocolate chips too." She said, "No, this is perfect." Currently, I am using a box of brownie mix to make single serving desserts. Mini marshmallows, nuts ,and chocolate chips make a yummy cake. I like soy milk as my liquid ingredient, but you can use milk or water. You can also add pureed fruits or veggies or yogurt for moisture. This is so much fun. I get to be creative, economical (since I add stuff that is on hand), enjoy a "fancy" dessert, and control portions/calories all at the same time. I would like to know the recipe along with directions for the 3-2-1 cake mixture. I know it calls for an angel food cake mix and a regular cake mix and that all you add is water. 1. In a gallon-size, self-sealing food-storage bag, stir together the two cake mixes. Seal bag (or transfer to other airtight container) and store in pantry up to 3 months, using as needed. 2. For each individual cake, measure 3 tablespoons of the mix into a small microwave-safe container, such as a mug or bowl. Stir in 2 tablespoons water. Microwave on high for 1 minute. 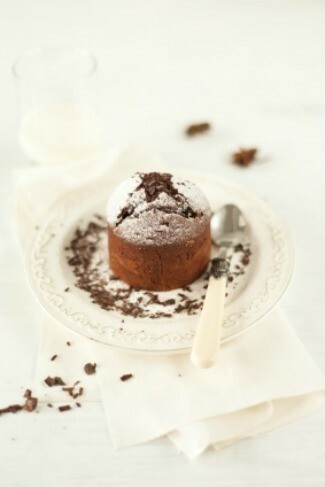 If desired, top each cake with whipped topping or a sprinkling of powdered sugar. Per cake: 80 calories; 1.5g fat; trace saturated fat; no cholesterol; 1g protein; 16g carbohydrate; trace fiber; 114mg sodium. I think I first saw this recipe here. Mix one box of angel food cake mix with one box of any other cake mix. So far I've used sugar free devil's food cake and a spice cake. Cook in the microwave for about a minute. My microwave cooks the cake in about 45-50 seconds, so you may have to experiment a little bit. Serve as is...or a dollop of whipped cream, Cool-Whip, or ice cream. I use a white cake and Angel Food mix, then my children pick a flavoring and food coloring. One child will add strawberry flavoring and red food coloring, another orange flavoring and orange flavoring, banana flavoring and yellow coloring and so on. Everyone has what they love! You got the cake mixes right: 1 angel food cake mix and 1 flavor of your choice cake mix. To make cake: 3 tbsp. cake mix 2 tbsp. water mix to blend well and cook in microwave for 1 minute. I use a mug and drizzle my choice of cake toppings on it. Makes a quick fix cake and even children can make it for themselves. This page contains coffee mug cake recipes. 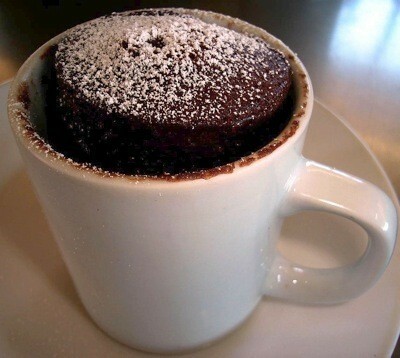 A personal cake can be made in a coffee mug.